Universal Guaranty Life Insurance Company began selling insurance in 1966. In the 1980s, Universal Guaranty Life Insurance Company was acquired by UTG, also known as United Trust Group. Compare online health insurance quotes from active providers by entering your zip code into the toolbox now! UTG, the parent company of Universal Guaranty Life has companies with roots in the insurance business dating back to the 1920’s. Having acquired over 60 insurance companies under their umbrella allows them to offer more than 1500 insurance plans in all 50 states. Although its parent company, UTG, can underwrite in all 50 states, Universal Guaranty Life Insurance Company can only sell insurance in 37 states. Most of its policies are in West Virginia, Ohio, and Illinois. The closest plan to a health insurance policy is the Terminal Illness Benefit Rider. This rider provides a return of 25% of the premium if the policyholder is diagnosed with a terminal illness. However, health insurance policies can be purchased through one of UTG’s many subsidiaries. Unfortunately, the website does not specify which companies sell which kinds of insurance products. Universal Guaranty Life Insurance agents are all independent agents. However, there is no number specifically for any agents. You must call customer service to receive any policy information at (800) 323-0500. Agents do have the ability to log into the company website by providing their username and password. The website does not provide what information can be accessed by the agent. UTG prides itself in providing all of its insurance companies’ policyholders with good customer service. You can email the company at [email protected], complete a message form online, or call (800) 323-0050 to speak to a representative. UTG also provides a question and answer page on its website for policyholders to review. Policy payments can be made monthly, quarterly, semi-annually, and annually. You can change your billing cycle or information by calling (800) 323-0050 or by downloading a payment change form and mailing it to the company. Premiums are due 20 days after bills are received. UTG cares about its policyholders and provides a feedback form online to be submitted. They welcome any comments, questions, or concerns regarding their service or products. 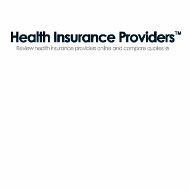 Health Insurance Claims are sent to the same address or fax number, but must include the Form HCFA-1500 from the provider’s office or treatment center. All necessary forms are available for downloading on the UTG website under the Forms section. Further information on the company’s involvement and the various organizations’ websites are available on the UTG website. According to the Better Business Bureau, there are no ratings for Universal Guaranty Life Insurance Company, but there is a rating of A+ for UTG. There was one reported complaint within the last three years regarding the product or service of the company. However, the complaint that was filed in 2010 was also resolved shortly thereafter with the help of the Better Business Bureau. A.M. Best no longer rates Universal Guaranty Life Insurance Company. However, in 2005, the company was rated a B-.